“Molly’s Rocker” by Susan M. Hoskins is a beautiful narrative about the courageous and inspirational Molly Fry. Molly endured more in her lifetime than most people ever experience, yet she persevered with dignity and grace, a loving heart, and a gentle soul. Molly was truly a woman ahead of her time and “Molly’s Rocker” is a brilliant testament to her life. The author and her husband Larry discover Molly’s rocker one day while cleaning out the attic. Molly is Larry’s grandson and the son of Molly’s youngest daughter, Tula Mary. Larry remembers his grandmother coming to live with them after a fire destroyed her home. The rocker was the only thing to survive the fire. After seeing the rocker, Larry remembers some old tapes, narrated by his grandmother when she lived with them. These tapes provide precious insight into Molly’s life and the life of Elijah Fry, and how a twist of fate brought the couple together. Growing up on a Kentucky tobacco farm in the late 1800s, Molly has to quit school at a very early age to care for her family when her mother is taken by consumption. As the new woman of the house, Molly implements some radical changes regarding the roles of males and females and vows to run the farm as an equal to her pa. The reader sees glimpses of Molly’s independent nature and impartiality early on in the story, and when she takes a stand with her father, insisting that women and men should eat at the same time (as opposed to the females waiting for their men-folk to finish their meals), I knew I was going to enjoy learning more about her. One of my favorite lines in the book is Molly’s declaration, “I wasn’t sure what would become of me as the years went by, but there was one thing I knew for sure that night. I was never gonna eat cold eggs again.” Don’t you just love her?! Readers also learn the story of Elijah Fry, who comes to be Molly’s husband, by what can only be deemed as providence. Though Elijah has a rough start in life, he flourishes under the loving upbringing of his aunt and uncle, becoming a respected member of the community. His tragic past leaves him with trust issues however, and his only real friend is Henry Jackson, the son of former slaves. Elijah and Molly raise a family, and have a successful tobacco farm. Life is good for awhile, until an unforeseen tragedy leaves Molly and Henry Jackson in dire straits. The two pool their resources to make ends meet, and their friendship causes quite a stink with the bigots and small-minded members of the community. Molly once again shows courage and integrity in the face of those trying to drive them out of town. This story is absolutely amazing! It encompasses so many issues that are sadly, still relevant today. From feminist issues to racial tensions, the author manages to cover some serious ground in a seamless, thoughtful read. Whenever I read historical fiction I get so wrapped up in the lives of the characters that I want to know everything about them. Where they lived, environmental conditions, cooking methods used, along with popular food items of the period, clothing styles, education – you name it, I want to know about it. Hoskins has excelled in writing a novel that authentically depicts every aspect of the time period. The characters have depth and integrity, and the dialogue is dead on, taking the reader straight back to another time, place and century. I contentedly imagined myself walking amongst the characters as I was reading. 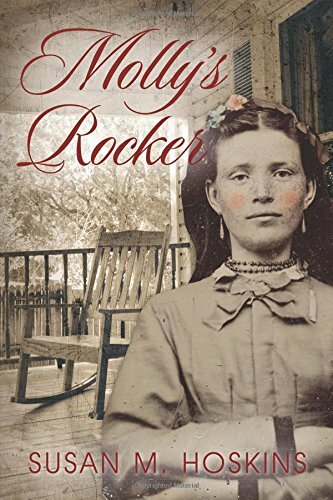 I am truly in awe of “Molly’s Rocker” by Susan M. Hoskins. Imagine love inspiring a story through an old rocking chair that almost founds its way to a local flea market. 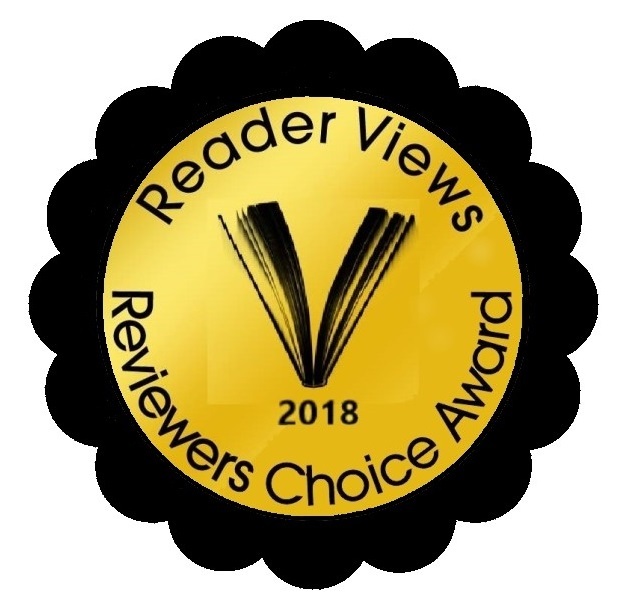 I highly recommend this book to fans of historical fiction, coming of age stories, and those wanting to experience the life and times of a different era.